Selling a house can be a lot more demanding than it seems. The entire process requires constant effort and a lot of money to receive the best deal. This is also the case when you choose real estate agents to sell your house. These real estate agents can make selling houses a time consuming and tiring process for you. It is because agents usually keep you waiting while listing your property and demand a number of things to attract the best buyers. To avoid this, you can seek help from cash home buyers in Detroit. The major reason for this is that cash home buyers do not ask for any alterations to your house and buy it in AS-IS condition. Real estate agents advise home owners to repair their houses and make them presentable for prospective buyers. According to them, this helps home owners with grabbing better deals. However, many times home owners either do not have the time or the money to spend on home repairs. In these cases, realtors do not help much or end up bringing your home’s price down drastically! This is not the case with cash home buyers like Detroit Cash For Homes. We buy houses in any condition in Detroit and there is no need for home owners to spend their money on repairs. So, no matter what condition your house is in, or how old it is, we will buy it at a fair price. Also, we make your home selling process easier by sending you a quick, all-cash offer and we can close the deal as soon as you 7 days. 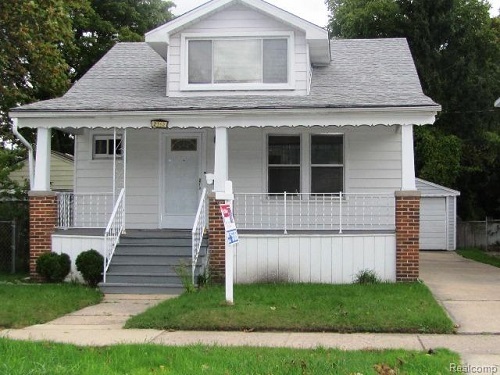 You can sell your house fast with Detroit Cash For Homes and make the process hassle-free! So, get in touch with us, today!